Published July 2, 2015 at 1600 × 900 in Tanzania09. Dean Julio Frenk (far left) shakes hands with Hon. 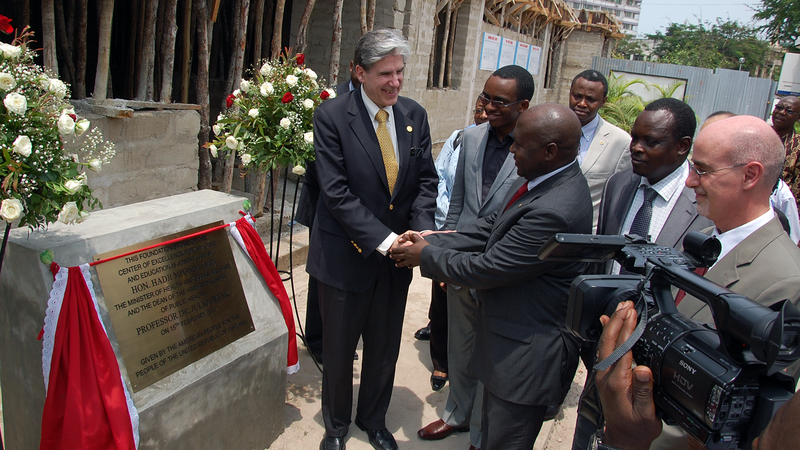 Hadji Mponda, Tanzania’s Minister of Health, at the dedication of the new center.